A little bit of history Edison Pens is based in Milan, Ohio and was founded in 2007 by Brian and Andrea Gray, in their garage. The company is named after Thomas Edison who was also born in Milan, Ohio and some of their pen models are named after people or locations related to him. 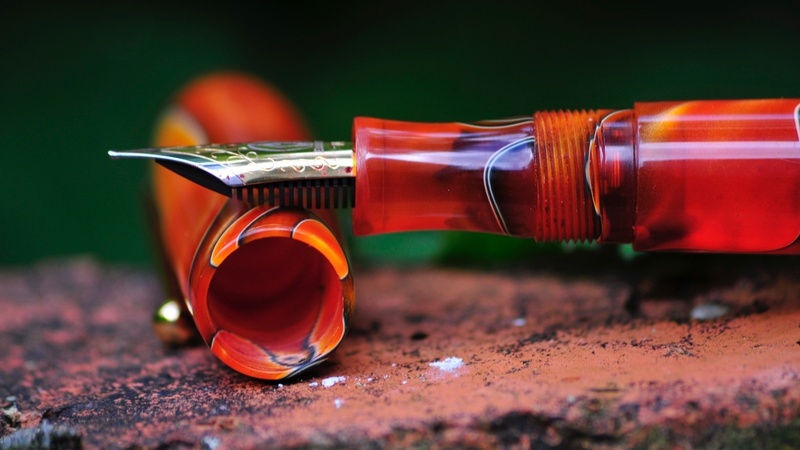 They produce a range of ‘Signature Line’ pens which are completely custom made and cover a large range of models, including some unusual and fascinating filling mechanisms. The Collier is part of their ‘Production Line’ range, available in the UK exclusively from The Writing Desk. 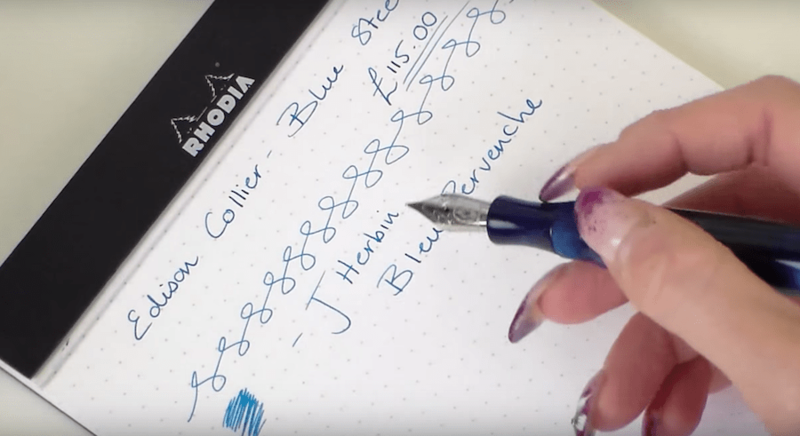 Production Line pens are more affordable than the Signature Line range but come without customisation options. How it looks This is a fine-looking pen. Between us we were able to look at the Persimmon Swirl (bought by Rob with his very own money) and the Blue Steel (loaned to us by The Writing Desk). Both acrylics are gorgeous. The shape is both original and classic – a tough combination to pull off. How it fills It’s a standard cartridge/converter pen but it’s possible to use it as an eye-dropper too. If you choose the latter option you can fill it with enough ink to last a lifetime. 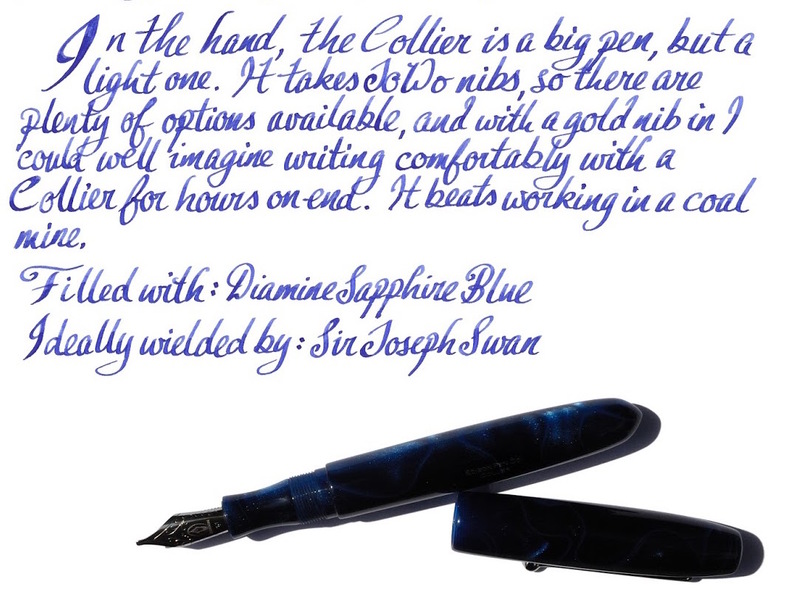 Crucially, how it writes… The Collier uses a JoWo nib engraved with Edison’s bulb/nib logo. We were able to try out a few different steel nibs and they were all lovely (although one needed a little adjustment first). JoWo make great steel nibs but if gold is your thing, then that’s an option on the Collier too. Pen! What is it good for? Whatever you want, really. 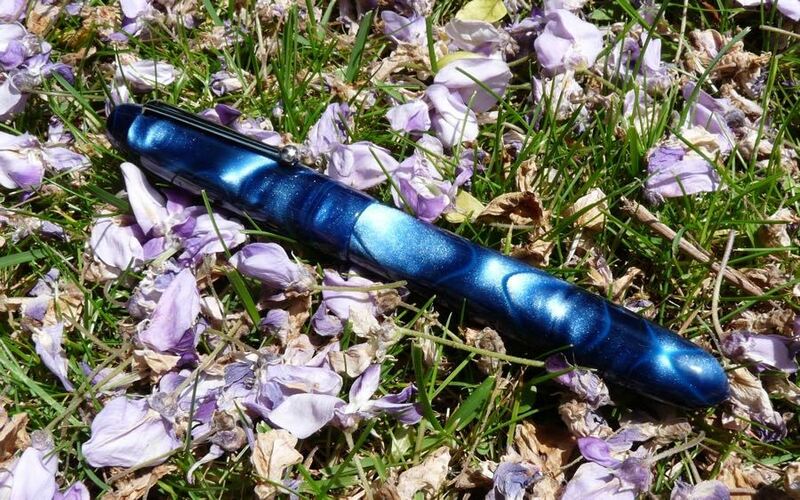 It’s a pen that would look great adorning your desk but it’s a pen that’s been made to be used. VFM This isn’t a cheap pen but it’s been made to a high standard. You’re getting a pen that’s been made to custom-pen quality but at a much-reduced cost, which in our eyes makes the Collier good value. 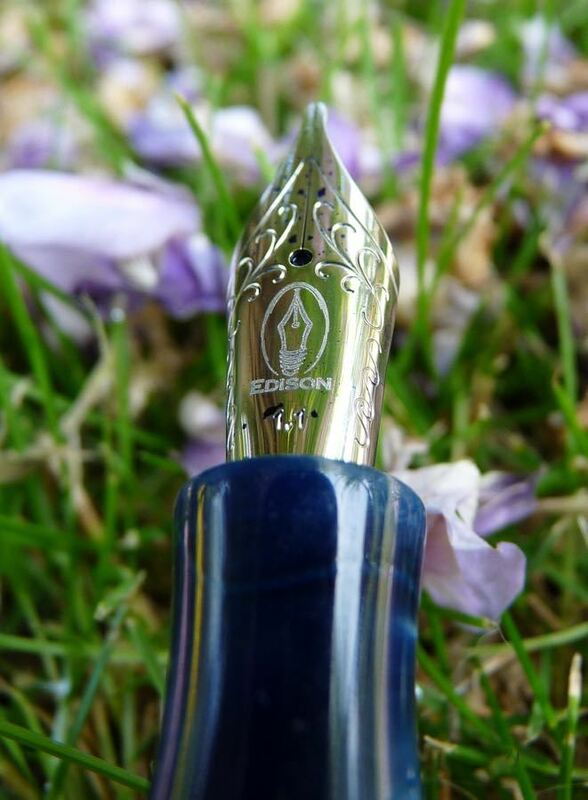 If this isn’t quite your cup of tea, but almost… If the Collier is almost your perfect pen but not quite then it might be worth looking into Edison’s ‘Signature Line’ and customising the basic model to make it exactly what you want. Alternatively Edison have a couple of other models available in the ‘Production Line’ range. Our overall recommendation We love this pen! It writes well, looks beautiful and is made with obvious care and attention to detail. Where to get hold of one If you’re in the UK then The Writing Desk is the only place you can get one. If you’re elsewhere then Edison has a list of distributors on their website. Thanks to The Writing Desk for giving us the opportunity to try out this pen. None of us wanted to send it back!